Spoiler Alert: This post discusses events in Call the Midwife Season 7 Episode 4. On this week’s episode of Call the Midwife, while I was definitely entranced with the story of Mumtaz Gani, her husband Saddiq, and his second wife, Parveen, I also found myself unable to get Trixie’s story out of my mind. As a midwife, our job is almost always thought of as a joyful one. It’s true; we do get to witness astounding joy, but any midwife can also tell you that this job includes an enormous amount of stress. We are constantly making decisions that impact women and their families for the rest of their lives. There’s also the side of midwifery that we may not often discuss; when things are bad, they can be absolutely devastating. I’m not only talking about the utter devastation of miscarriage or stillbirth, but also bearing witness to a lot of really difficult life situations that our clients might be in. I’ve cared for women in abusive relationships, women who are unable to make it to necessary appointments because of lack of transportation, and women wondering how they will be able to feed their families that week. I’ve listened to women describe their struggles with depression and anxiety. Part of being a midwife is forming a strong connection with our clients, but sometimes doing so makes it very difficult to separate yourself from your work or disengage when you go home for the day. I love that Call the Midwife shows all facets of midwifery care, including the midwives’ personal struggles. For the midwives of Nonnatus house, they not only have the “regular” stresses of a career in health care, but they also practice in an area with a relatively high proportion of people living in poverty. Many of us became nurses and midwives in order to make a difference in people’s lives, and it can really start to weigh on you when you realize there is so much that you can’t “fix”. I think for Trixie, the “straw that broke the camel’s back” and led her back to drinking was her separation from Christopher, but I don’t doubt that the incredible stress she feels from her career also played a part in that. There have been a few times in my six years as a midwife where the stress in my professional and my personal life too much. I know talking about “self-care” is all the rage these days, but let me tell you—self-care is critical for your success in midwifery. If you do not actively seek out ways to care for your body, mind, and spirit, you will get burnt out. Self-care looks different for everyone. It might be taking a hot bath, going out for a nice meal (with a loved one or alone! ), meditating, or taking the time to read or take a walk. For me, self-care includes going to bed really early most nights that I’m off, and also means waking up at 4:00am on my days off to exercise and have some “me time” before my kids are awake and my husband has to leave for work. This year, I started eating a plant-based vegan diet and nourishing my body with whole foods that make me feel healthy and strong. When I’m taking time to move my body and eat consciously, it pours over into all other aspects of my life. I’m more positive, energetic, and patient. Self-care isn’t always fancy, though. Part of my self-care includes seeing a therapist and taking medication for postpartum depression. Like Trixie, sometimes we have to realize that we can’t always do this alone. Believe it or not, part of my self-care each week is also sitting down to watch Call the Midwife! It’s really comforting to watch a show that, in a way, parallels my life. The storyline transcends time and place and each week, I find myself nodding along and relating with each of the characters. 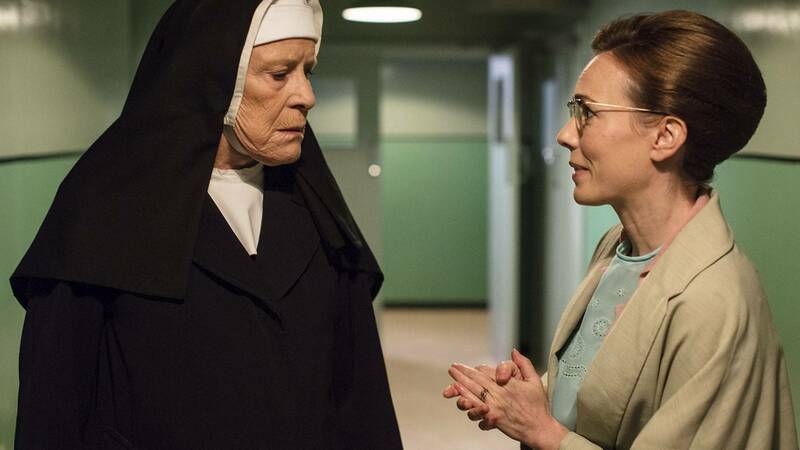 Even in the most stressful times, Call the Midwife tends to remind me why I was called to midwifery, and that even if we cannot solve every problem, we can make a difference in the lives of each of our clients. This week, it also reminded me how crucial it is to take time for myself to unwind and recharge. How are you going to care for your mind, body, and soul this week?